Submission of online applications from eligible candidates: 13-072018. Last date for submission of online Applications:16-07-2018. Scrutiny of Applications Forms by MEO’s: 17-07-2018. Submission of Hard Copies To DEO’s by MEO’s: 17-07-2018. Generation of Final Selection List and Communication to MRC:18-07-2018. 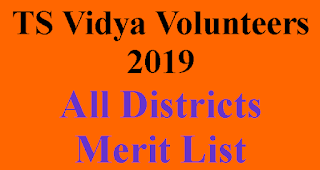 List of Vidya Volunteers to the SMC by MEO's:19-07-2018. Agreement By Vidya Volunteers in prescribed Proforma: 20-07-2018. 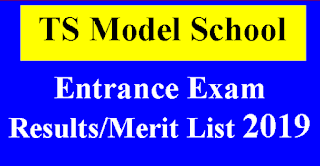 Selected Candidates as vidya volunteers should join in schools: 20-07-2018. Government of Telangana department of School Education –released G.O.Rt.No.48 Dated:02-06-2018 for Engaging the services of (16781) Vidya Volunteers through School Management Committees (SMCs) with an Honorarium of Rs.12,000/- per month in the Academic Year, 2018-19 Permission Accorded Orders Issued. In the circumstances reported by the Commissioner and Director of School Education, Telangana, Hyderabad in the reference 3rd read above, after careful examination of the matter, Government hereby accord permission to the Commissioner and Director of School Education, Telangana, Hyderabad to engage the services of (16781) (Sixteen Thousand, Seven Hundred and Eighty One) Vidya Volunteers i.e., 15,473 Vidya Volunteers against Regular, Vacant and Leave Vacancies and 1308 Vidya Volunteers required for Teaching Telugu Language in all the Local / Government Primary Schools and Upper Primary Schools in ‘other than’ Telugu Medium Schools and English Medium Schools, from the month of June, 2018, for the Academic Year, 2018-19, with an Honorarium of Rs.12,000/-(Rupees Twelve Thousand only) per month, only upto the time newly recruited regular teachers join duty.